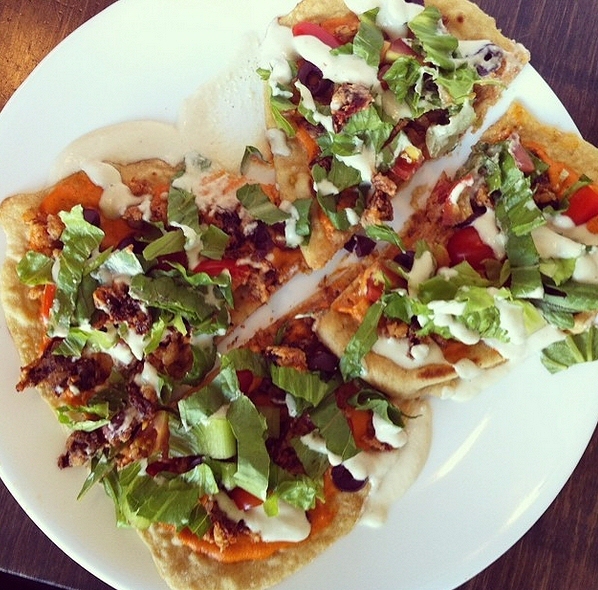 How do you make your flatbread taco pizza? It looks good! I’m also curious about vegan hot pockets. What kind(s) of fillings do you use? I am going to have to give that a try. Then top with taco toppings, such as walnut taco “meat”, vegan nacho cheese (recipe on the blog here), olives, tomatoes, vegan sour cream, etc. For the hot pockets, I usually make some kind of vegan cheese, then put in whatever veggies I need to use up!